How do you increase the experience value of your brand? Go back Home Stories How do you increase the experience value? How do you increase the experience value? Experience may well be the buzzword of recent years. We are confronted with it every day wherever we go. What exactly do we mean with this experience? Psychologists indicate that we are mainly concerned with the ‘wow-effect’. The immersion in an intentionally or consciously designed atmosphere. From experience at work, the store where we do our shopping and even at the hospital. We do everything to make it beautiful and pleasant. Especially functional because it must also have a purpose. Experience in the store or showroom will be used to entice you into the world of a certain brand. When visiting the hospital, the functionality is completely different again. There it is used to inform you, for example in a waitingroom with narrowcasting or a LED ceiling. 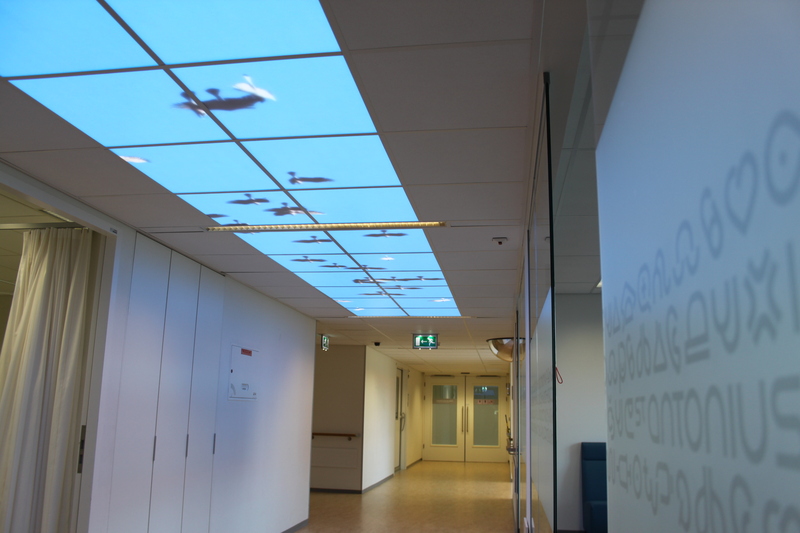 The clip above shows the functionality of a LED ceiling in a children’s department in a hospital. Before the children are driven to the operating room they can choose from one of the various pre-programmed animations. It ensures that the child shifts his focus to something pleasant. In doing so, the feelings of tension, anxiety and uncertainty decrease slightly.